Continuing my “Interesting Facts…” series, I’ve put together a list of 8 facts about the country of Belize. I had the pleasure of visiting Belize this past June and thoroughly enjoyed this country. 1. Until recent history, the country of Guatemala has claimed ownership of much or all of present day Belize territories. The Guatemalan claim rests on a treaty with the United Kingdom, which the Guatemalan government claims was violated, granting them the territory. After Belize claimed its independence Guatemala refused to recognize it as a country until 1991. Even now, there are continuous border debates between the two countries, and there are currently British military personal in Belize to protect them from any conflict with Guatemala. 4. Belize is the only country in Central America whose official language is NOT Spanish. Their official language is English. 9. At 22,966 square kilometers, Belize is the 151st (out of 251) largest country according to the CIA Factbook. It is ranked between Djibouti (150) and Israel (152). What a fun and informative article! On the TV show “House Hunters International” I’ve seen a lot of expats buying property in Belize and I’ve always wanted to visit there myself. Cool! I had no idea the official language of Belize was English! Come to think of it, I didn’t know any of these things! I feel so much smarter now. Thanks!! That’s what I’m hear for! I now know 9 things about Belize that I didn’t know before and they’re all very interesting. 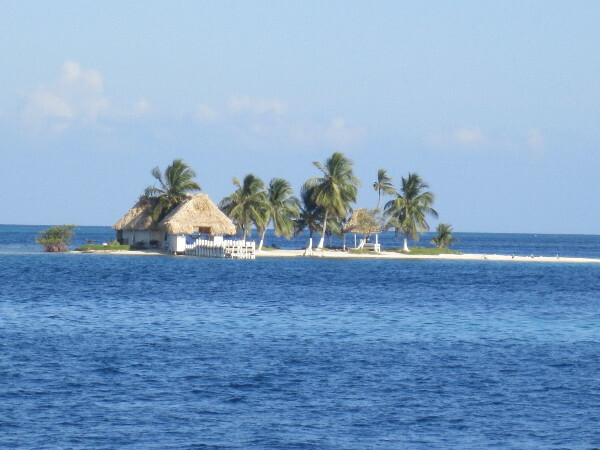 Would love to spend a few days on Rendezvous Caye! Rendezvous Caye might have been the highlight of my entire month and a half in Central America. Truly a great experience. Depending on what you are thinking of doing, you should (in my opinion) consider Belize and Guatemala! Belize will give you the beach, and Guatemala the forests and Mayan ruins (Tikal). The only way I’d say pick Honduras over Guatemala is if you are 100% going to be diving. Then go to the Bay Islands in Honduras. I know nothing about Belize – thanks for sharing these facts! I’ve been to Belize and it wasn’t my favorite place I’ve ever been, (although I love Guatemala, and Honduras) but very interesting facts. I think a lot of people like it since English is the official language reducing any language barriers. Very interesting article! I like it. I had no idea that Belize had such a large reef system. One of our friends went to Belize with his girlfriend and absolutely loved it. Can’t wait to visit ourselves! The reef system basically stretches the entire length of the country. There are literally hundreds of islands inside the reef and some outside of it as well. I definitely recommend Caye Caulker as a place to spend some time, and if you can come up with enough money and the weather is right, I suggest the Raggamuffin sailboat trip. I loved Belize when I was there last year. I stayed most of my time on San Pedro, but I dived the barrier reef there. Such a great place to visit. Thanks for sharing such interesting information about the country. I so want to go on that island! How can we get there? The only way that I know is take a sailboat trip with Raggamuffin Tours from Caye Caulker. It is a 3 day/2 night trip from Caye Caulker to Placencia (and back if you want) for $300. It was a great deal and one of the highlights of our entire trip. I got to spend one day there earlier this year. I hope to make it back and actually be able to experience it. Another interesting fact, there are no fast food joints in the country. Except maybe one Subway if I remember correctly. hmmm, that is interesting. Now that you mention it I can’t recall seeing any during my time there. This is very interesting. The only thing I knew about Belize was that the official language was English other than that I had no clue about the rest. Good tid pits to know. Really nice article. It’s cool to learn new things about Belize. I really didn’t know much about this country but lately I’ve been reading some interesting stuff that have made me want to go there. Great post! I love the tiny islands (keys) – wouldn’t it be great to own one? It would be amazing! If you go back in my posts a bit there is a picture of English Caye. It is bigger than the one shown here and has like 8 buildings on it where a group of people live. Not a bad life at all. Thanks for this. The only thing I knew about Belize is it is the only english-speaking country in mainland Central America, like Jamaica.